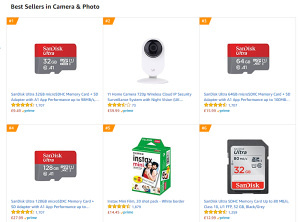 These are the photography items people are buying the most on Amazon UK so you may want to as well. The top 10 fastest Compact Flash cards tested to see how quickly they can read and write. Fixation camera repair and rental specialists share some top tips for maintaining your memory cards successfully. We test the latest MicroSD, MicroSDHC, MicroSDXC memory cards to find out which is the fastest. Here are eight essential tips on using and storing memory cards. 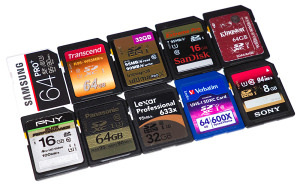 The complete guide to memory cards - There are many options used in cameras to store your images. 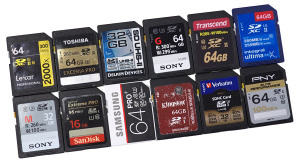 Here we provide a round up of the various memory cards and their benefits. Five lucky ePHOTOzine members go shooting at Kew Gardens with Samsung Memory Cards and garden photographer Clive Nichols. We list four important things about memory cards which will save you some time and hopefully, some money.